Court sacks Australia’s deputy PM Joyce – Royal Times of Nigeria. 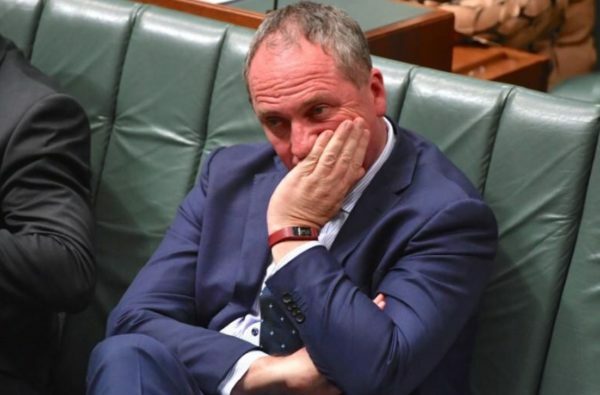 Australia’s High Court ruled on Friday that Deputy Prime Minister Barnaby Joyce is ineligible to remain in parliament, a stunning decision that cost the government its one-seat parliamentary majority and forced a by-election. The Australian leader had been scheduled to travel to Israel on Saturday for a week-long visit but a spokesman for Turnbull told Reuters his departure has now been delayed. The spokesman said the new travel arrangements are still be finalised. Turnbull’s center-right coalition is now in a precarious position. His Liberal Party is the senior party in a coalition with the smaller National Party, which Joyce led. The Australian dollar fell as low as $0.7623 after the ruling to a level not seen since July 11. It pared some of those losses to last trade at $0.7639 as investors considered Joyce’s chances of re-election.